From horse meat to seafood, food fraud is a growing problem worldwide. 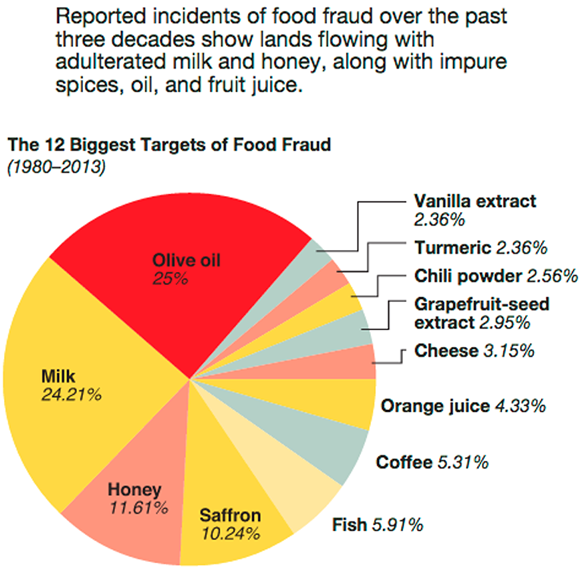 According to the World Customs Organization, food fraud is costing $49 billion annually. It is so lucrative, in fact, that drug cartels in South America and organized crime in Italy are involved in counterfeit groceries. Olive oil is recognized as the number one food product at risk of attracting the interest of organized crime. Crime syndicates are very stealth in keeping their schemes alive too – once one unlawful ingredient is detected, they move on to another. That makes it even harder for agencies trying to police the illegal trade, as they have to know what nefarious ingredient they are looking for in order to test for it. 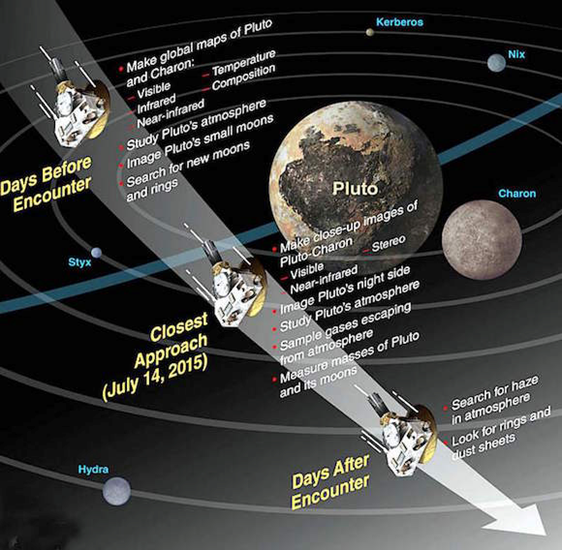 New Horizons spacecraft will sweep past Pluto this morning within just 7,800 miles of the previously unexplored world. New Horizons has traveled 3 billion miles over 9½ years to get to this historic point. The fastest spacecraft ever launched, it carries the most powerful suite of science instruments ever sent on a scouting and reconnaissance mission of a new, unfamiliar world. Read more at Space.com, where you can also see some of the images already sent back from New Horizons and get the latest news on the Pluto Flyby.